Oregon Commercial Building pressurization testing. We test and analyze pressures to diagnose existing pressures. Air flow balancing, room pressures, duct supply lines, learn more about positive and negative pressures. Critical Room Pressurization Verification (CRPV) We feel this is the best way to test individual rooms or spaces for climate control and air tightness. For years we used the blower door to test the whole structure. While under pressure we then use a thermal camera to pinpoint leaky areas. However by utilizing better techniques it becomes simple by just using a manometer. I can tell you which room is more leakier than the other. Or which side of the duct system is more leakier. By just getting a set of leak numbers when conducting a blower test is not the answer. Need to locate the leaks then fix them. By testing each room it is much simpler to pinpoint the leakier areas. All buildings operate under some level of positive or negative pressure. Offices are generally troubled by pressures. While one office has ideal climate control the office next to it has terrible climate control. To ensure positive building pressures, normally we have to introduce fresh or outside air into the system. This pressurizes the building, because if a 1,200 cfm fan returns 200 cfm through an outside air duct, it can only pull 1,000 cfm from the building. Meanwhile, the supply side of the fan is delivering the full 1,200 cfm. This leaves 1,000 cfm return and 1,200 cfm supply, causing a 200 cfm positive pressure in the building. With more supply air than return air in the building, the building is under a negative pressure providing the duct system is outside of the building envelop. If the duct system is inside of the building envelop then we have a more positive result. However depending on duct leakage will the pressures be measured. However, it’s hard to say how great the positive pressure reading in the building will be. It depends on how tight (or leaky) the building envelope is, and what other pressure generating forces exist, including the wind, appliances, exhaust fans, and the stack effect of the building. Because pressures are invisible and variable, we must measure them to understand their effect on a building. In addition to the overall building pressure, pressure measurements can be taken between rooms in the building to further identify the effect of the HVAC system on the performance of a building. Pressures between rooms are a different issue than the overall pressure of a building, although they’re often related. Measuring pressure between rooms will reveal pressure imbalances that may have a significant impact on the comfort and air quality in the rooms. For example, a room with an extremely negative pressure will be drawing in outside air through leaky doors, vents, ducts and windows. A room with too much positive pressure will be forcing conditioned air out of the building, leaving and uncomfortable room. Exhaust hoods in commercial kitchens cause a negative pressure to remove smoke from the room. To high of a negative pressure will result in HVAC run time. To little pressure will result in a smoky kitchen and dinning room. These hoods have to be carefully balanced. It will effect efficiency and higher energy bills. Rooms with a negative pressure containing combustion appliances may result in serious injury or even death due to carbon monoxide poisoning. It pays to measure room pressures. All pressure balancing requires a differential pressure measurement instrument. The manometers we use all have two pressure ports; a manometer reads the difference between the pressures exerted on either of the pressure ports on the tool. We use hoses to channel the pressures from a duct or a room into each of the ports on a manometer. In industrial sites when the building is under a negative pressure and chemicals are stored within a room, the chemicals will be drawn throughout the building causing serious injury. Commercial building also have to provide fresh air to the interior. Usually a large fan connected to the duct system supplies this air. This will cause a positive pressure if the pressures are not released as fast as they are supplied. This also causes an un-balanced climate zone. Resulting in higher energy bills. So each room should be measured with reference too. Meaning we use a manometer to measure the pressures between rooms and the outdoors. Determining the best leakage rate is much more difficult because every building leaks and the engineering goal is to minimize the rate as much as possible for the lowest construction cost. Leakage is due to the permeability of the air barrier itself and how the air barrier is applied, especially due to transitions and penetrations such as pipes and conduits and due to how many doors and windows a building envelope has. Buildings normally should operate at a positive pressure of 4 to 5 PA (0.016 to 0.02 in.). At a test pressure of 75 PA (0.3 in. ), a leakage rate of 0.4 cfm/sq ft of air barrier would be a very high leakage rate and 0.1 cfm/sq ft would be a very low leakage rate. By specification, these leakage rates are measured while the building is at a pressure difference of 50 to 75 PA, between the interior and exterior. The air barrier area is defined as the area of the first floor, the top floor ceiling, and the total area of the exterior wall air barrier. 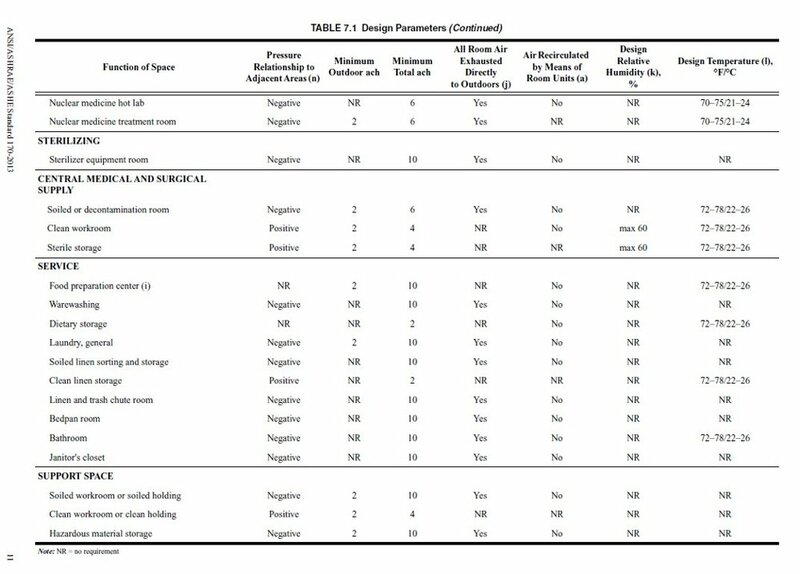 Table 1 indicates standard leakage rates for various types of structures at either 50 PA or 75 PA building pressures.